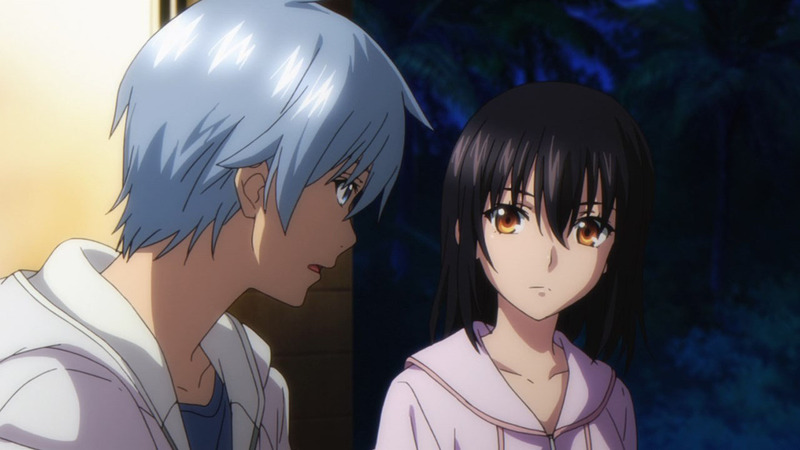 Episode Summary: Invited by Yaze to attend the trial opening of a new resort called Blue Elysium, Akatsuki finds himself involved in another incident as a girl named Eguchi Yume seeks him out. 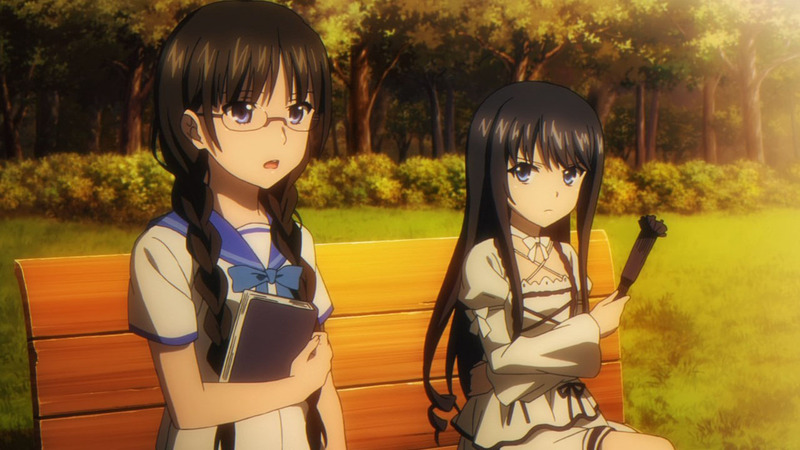 Recently freed from the laboratories of Kusuki Erize—a sponsor of Blue Elysium—Yume tells Akatsuki of Kirasaka’s attempts to free her and her older sister. As the group look for answers, Kirasaka is captured by someone calling herself a Rikujin (Sword Shaman of the Shadows). 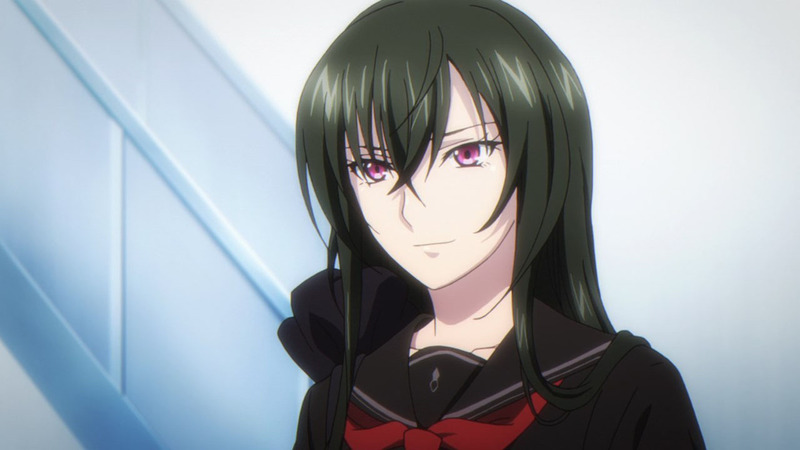 Episode Summary: Revealing herself as Kisaki Kiriha, Kirasaka’s captive confirms her true identity as a fellow government agent working for another organization: Taishikyoku. As Akatsuki awakens the next day, he finds himself face to face with “Riru,” Eguchi Yume’s alternate personality and a known succubus. 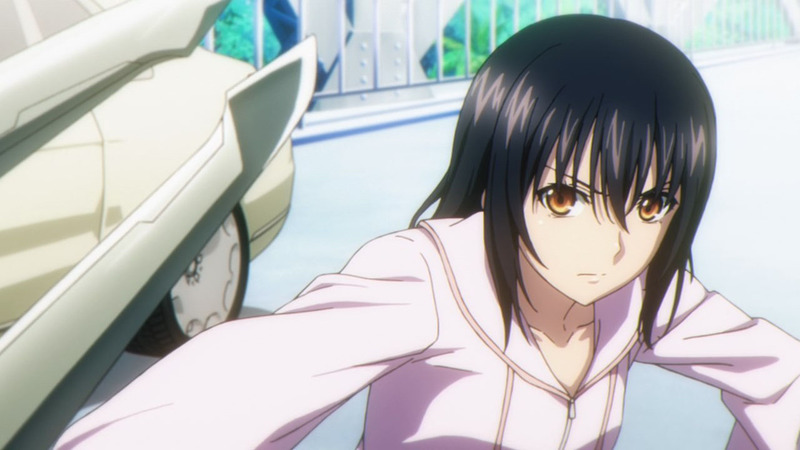 Riru uses her abilities to temporarily control the cast, ultimately meeting up with Kisaki and willingly returning to Kusuki’s side. The two escape as a mind-controlled Kirasaka attacks Akatsuki, who frees her from Kisaki’s grasp. 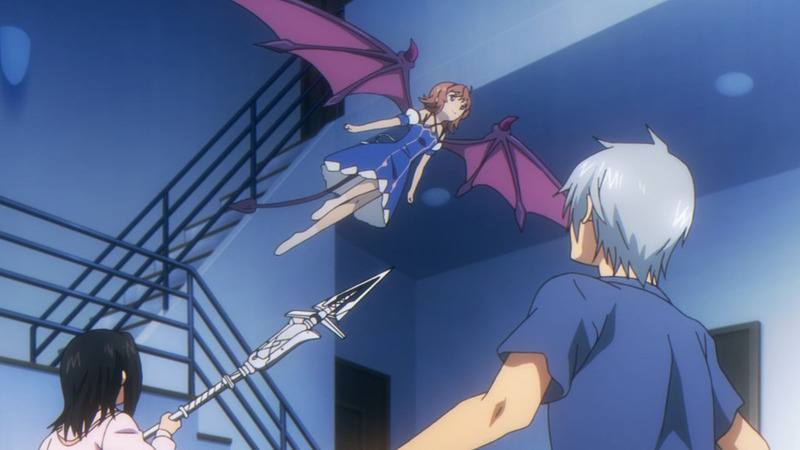 As it turns out, Yume is a descendant of Lilith, the strongest succubus in history. Using her abilities, Kusuki aims to control Leviathan, an ancient living weapon capable of laying waste to the entirety of Itogami Island. And so, the end of another arc arrives and it’s just like old times ain’t it? 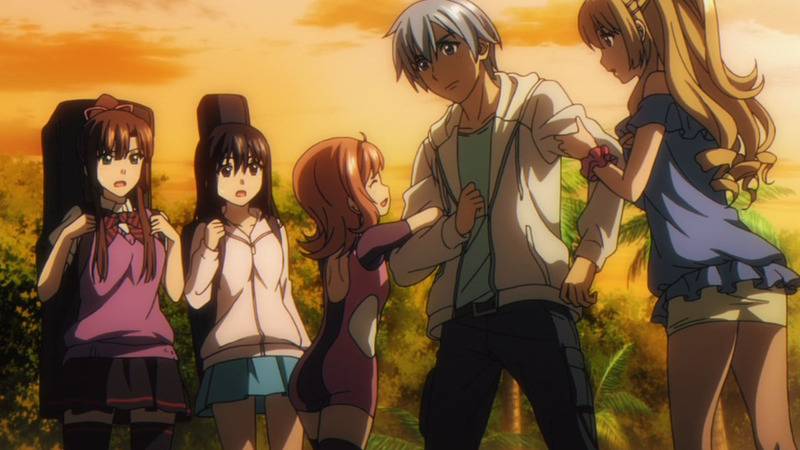 Strike the Blood ain’t what it is without Akatsuki in the house wrecking things while sucking the blood of everyone he meets, and for the most part, that’s what he does. It’s a formula that we’ve become accustomed to by now, and hey, if it works… I ain’t complaining. That said, I’m not quite sure how exactly Akatsuki manages to end up in yet another incident just by going to a trial run of a new resort, and it was very questionable bringing an under age girl back to his house instead of bringing her to the police, but I guess we’ll let him off the hook this time. 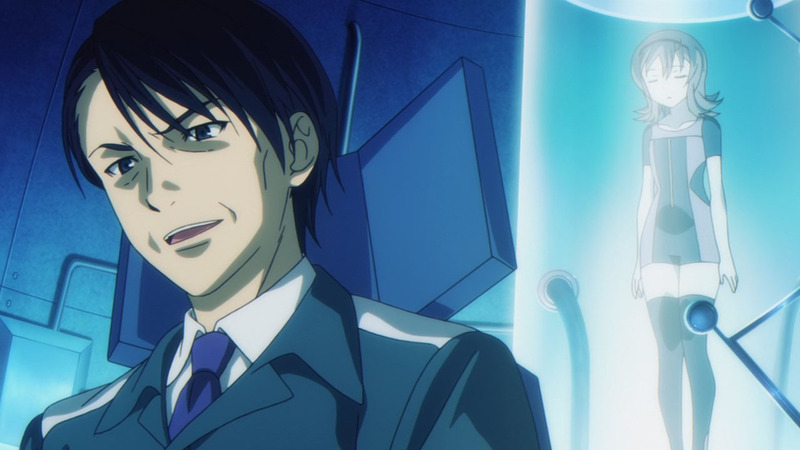 I mean, it’s not everyday a government organization partners with an eco-terrorist to try and destroy an entire island, so I suppose something had to be done, though it was certainly a nice touch having Eguchi finish things off rather than Akatsuki himself. That said, perhaps the most interesting thing about the arc wasn’t the new familiar, the new addition to the harem, or heck—anything related to Akatsuki or Eguchi at all. Rather, it’s the fact that we’ve come in direct contact with another government organization in an antagonistic fashion for the first time, and it turns out they were after Asagi all along. We don’t get much about what exactly it means to be the “cursed” Priestess of Cain, but the fact that she’s immortal while on Itogami Island because it was crafted specifically as an altar for her? That’s… quite something. In hindsight, it makes a lot of sense since she could’ve/should’ve died multiple times already, but given that many of us had already accepted the actual reasoning at the time, this was certainly an explanation that I didn’t see coming or really needed, but loved nonetheless because of how much it makes sense and how much additional story potential it generates. 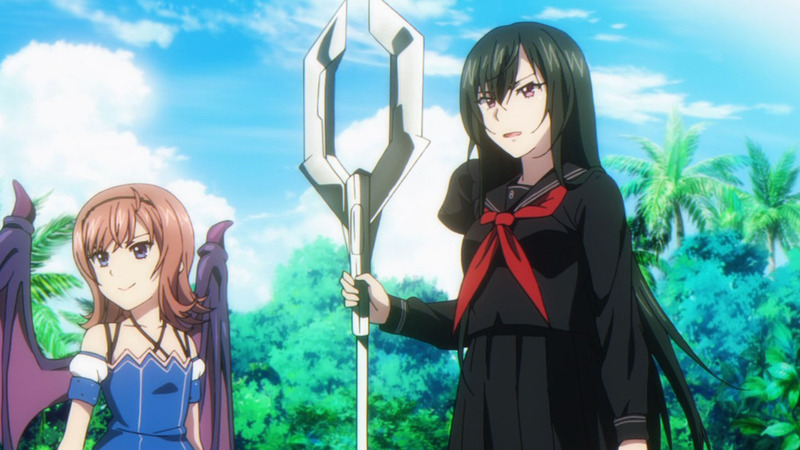 Suddenly, Asagi’s equivalent to Akatsuki as long as she’s on the island in terms of mortality and the fact that they’re supporting each other really puts into perspective how powerful their small “faction” has become. They’re certainly low in terms of overall numbers, but they’ve got a home field advantage better than everyone else. 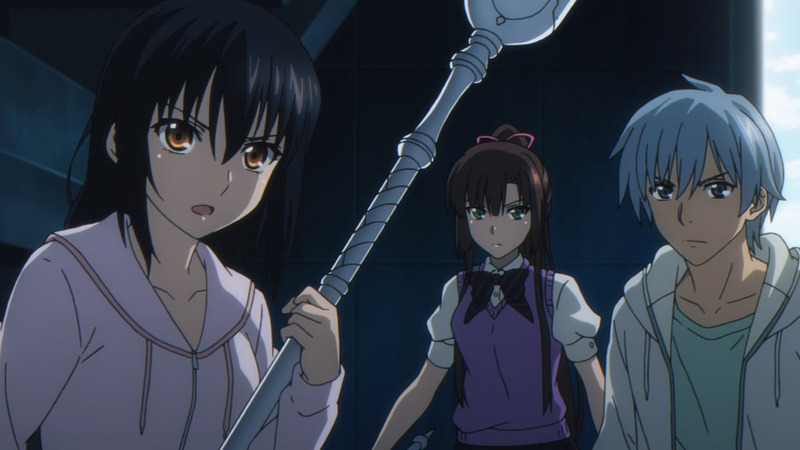 Still, one has to question—if the Priestess of Cain was cursed and potentially a cause for war, then how exactly did Itogami Island get approval for construction in the first place? One would think the potential situation was thought out a while ago, though at this point I wouldn’t be surprised if a few other organizations intentionally colluded together to try and use the island, the Priestess, and subsequently Akatsuki to their advantage. The revelation that the Lion King Organization essentially allowed Taishoukyou to do what they wanted knowing they’d fail and owe them one certainly hints at another game being played in the bigger scheme of things, and why is it that I get the feeling the series could get even better from here? 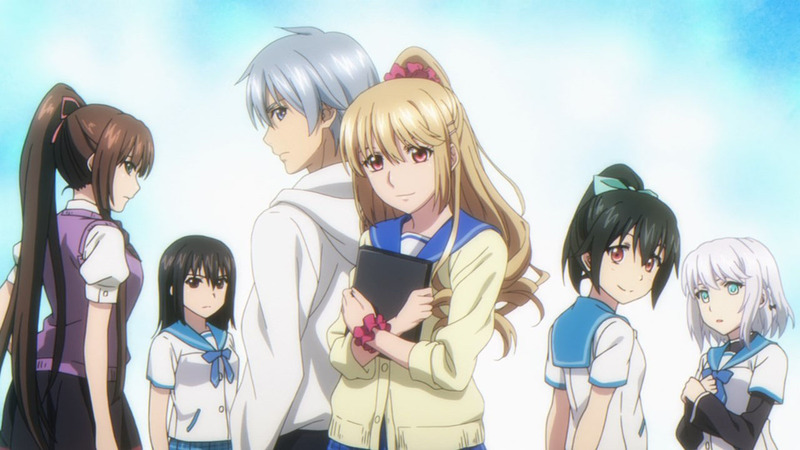 All in all, it’s a great return for Strike the Blood as we get an arc filled with many of the things we’ve come to love about the series. 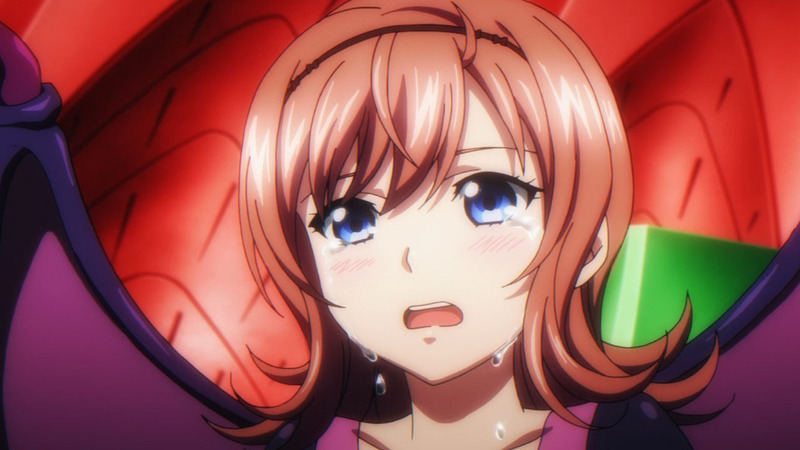 The only thing missing at this point was a cameo of La Folia or Vatler, but I guess I’ll live with the fact that the former got a whole OVA to herself just before this. Looking forward, it’s a pity there’s only 5 episodes left in the OVA, but if there’s anything to go on from this arc—it’ll certainly be worth watching, even though we’ll inevitably be depressed at the thought of waiting “x” years for something more. Before you go, there’s a bunch of author’s notes listed below, so be sure to peek at them real quick. First off, many apologies for not getting this post out faster. As some of you have seen from my blogging hiatus recently, I’ve been quite busy prioritizing full-time work, so this was pretty much the only time in the past year or so I’ve had some time to blog while maintaining my other responsibilities, though it’s certainly fitting I return to STB the same way I started it (with a three episode post). 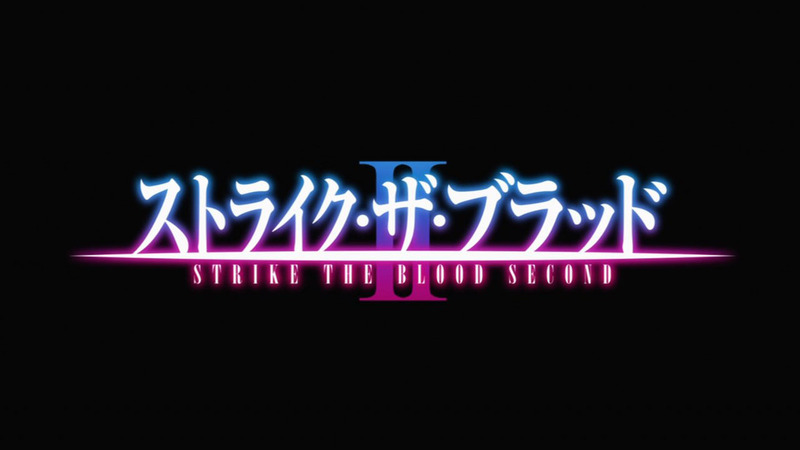 Looking forward, I’ll continuing blogging STBII, but posts will likely be split into by arc. Therefore, Episode 4 (which has been out for awhile) will be blogged simultaneously with the conclusion of that arc in Episode 5, which should be available in the next few weeks. Subsequently, Episodes 6-8 will be blogged simultaneously once all episodes are released around the end of May/early June. Lastly, for everyone who’s sent tweets or e-mails asking for STB, I’d just like to say thanks! It means a lot when you go out of your way to request a post, although I do apologize once again for taking so long to get to it. This isn’t entirely relevant, but anyone has any update about seiyuu Taneda Risa? I know she must relatively fine because ever since her operation which resulted in her hiatus, she’s voiced Himeragi here as well as Francoise in Cyborg 009: Call of justice, but I can’t really confirm that as multiple roles of hers have been replaced since then, the latest one being Riveria Ljos of DanMachi. 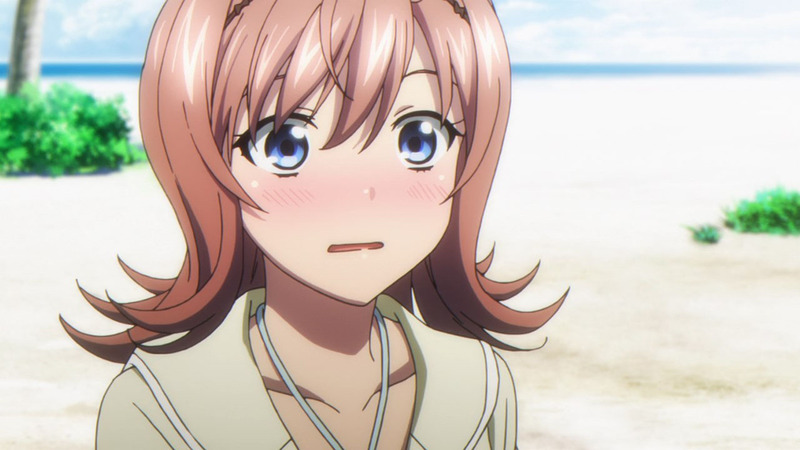 I love her voice acting, so I don’t want this hiatus to potentially bring a premature end to her career. She should take all the time she needs for her recovery, but it’s getting a bit worrisome as well. I haven’t seen any update myself, but I do her listed in the credits for Fire Emblem Heroes and Fire Emblem Echoes: Shadows of Valentia for this year so far, but those could’ve been recorded last year if anything. At most it seems like she’s doing the occasional part-time role, but doesn’t seem like she’s doing any full cour series atm. That’s fine really, just as long as she stays in the profession until she recovers and does full time again. OVAs 1-3 fully cover LN Vol 9. OVAs 4-5 cover Vol 11, 6-8 cover Vol 12. They are skipping Vols 7-8, which cover Kojou’s past – how he met Avrora and became the 4th Progenitor are explained there. Apparently Vols 1-15 is merely Part 1 of the STB saga. 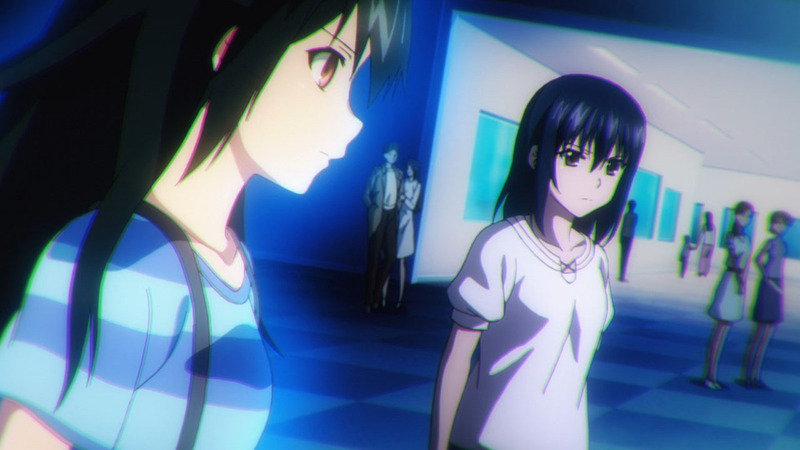 The mystery of Itogami Meiga the glasses guy is resolved there, and Vatler & his men are written out (for now). Vol 16 starts Part 2. An unrelated question for OVA/movies, will anyone be reviewing stuff like A Silent Voice, Your Name, or Free: Starting Days? This has yet to be decided, but I would love to review A Silent Voice! I’ve already seen A Silent Voice and Your Name in the cinemas over here in the UK, and A Silent Voice completely blew me away. Your Name’ll definitely get coverage at some point, but we usually don’t cover until BD release so it’ll be a while, as they haven’t even scheduled a release yet. Lemme poke Takkun re: Free. What about the new SAO movie? No, Senpai. This is our fight! OMG i am having Vietnam flashbacks all over again…. I’m there just as a fan of the characters even if I haven’t watched past the first few episodes. I hate how they partially obscured the girls in their swimsuits with those annoying constantly-shifting tiles near the end of the opening. This bothered me so much I took a bunch of screencaps and spent a couple of hours in Win7 Paint. The results were far better than I expected (especially for Sayaka, who ate up most of that time, but oh was it worth it; she’s now in my wallpaper folder along with Yukina and Natsuki-chan). 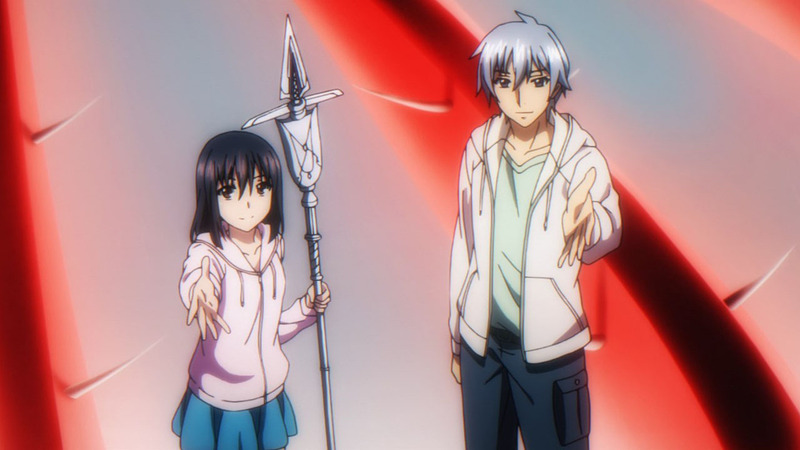 Van, do you think you give us a link to your cleaned screencaps of the opening? The moving tiles in that sequence really are annoying. Zephyr, I’m glad you got around to doing this review. 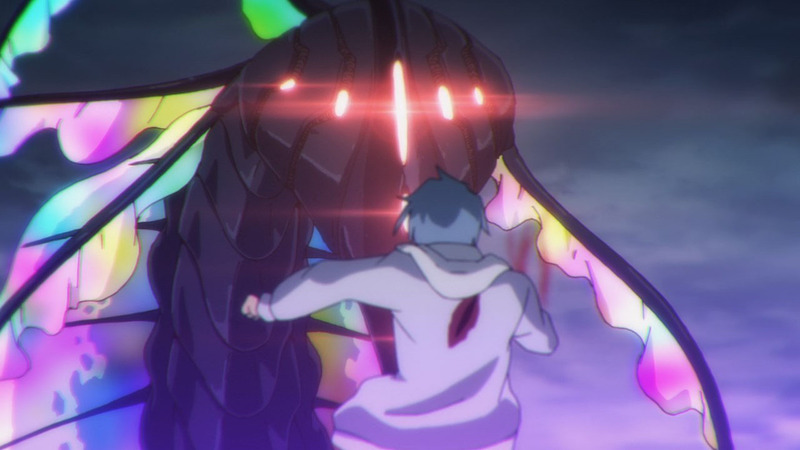 I have to say I still like your one-episode reviews a little better than reviews that cover an entire arc, because you have a knack for picking interesting screenshots and talking about the finer points of a specific episode, but this new format works for me as well. Speaking of which, do you think the harem in this series has gotten a little too large to handle? La Folia might be Yukina’s major rival in terms of popularity in the StB fandom, but she rarely makes appearances anymore. 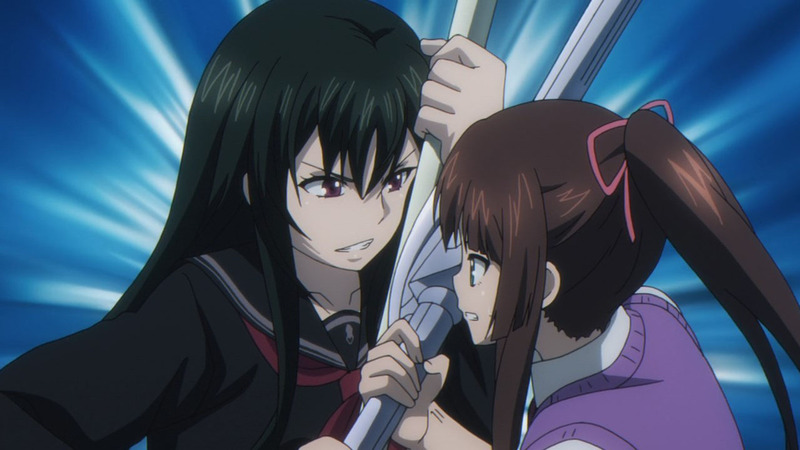 Also, if newcomers to the series didn’t know about Asagi’s and Sayaka’s history with Kojou in this series, they might be forgiven for thinking that Asagi and Sayaka are just gag and fanservice characters. Asagi just acts unpleasantly jealous for most of this arc (I mean, would you willingly be friends with a girl who punched you in the face for what she thinks is flirting, and then eats all the food you paid for leaving none for yourself?) and Sayaka still hasn’t come clean about her feelings for Kojou, instead being a focus for fanservice gags in this arc. I’d like this series a bit more if the character development was also spread around more of the longstanding members of the cast, even while the story arcs introduce new ones. One thing this review didn’t cover is whether you liked the new voice actresses’ performances as the new characters. Nao Touyama did a good job as Yume in my view, but the real surprise to me was Yukiyo Fujii as Kisaki Kiriha. 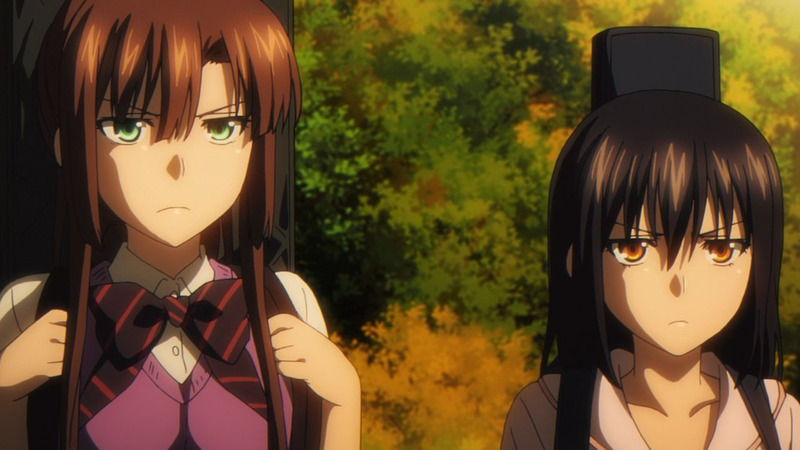 If the only role you’d heard of Yukiyo Fujii’s before watching this OVA arc was Latifah from Amagi Brilliant Park, then you’d probably never imagine the same voice actress could convincingly portray a cold-blooded warrior like Kisaki Kiriha.